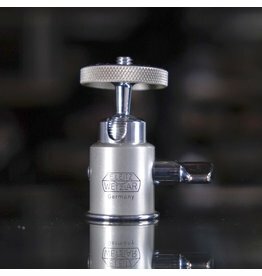 Leitz FOOMI mini ball head in excellent condition, with very minor cosmetic wear, good function. Tiny and nice. Standard 1/4" threaded fitting to a camera up top, 1/4" tripod mounting thread at the base. Leitz FOOMI mini ball head. 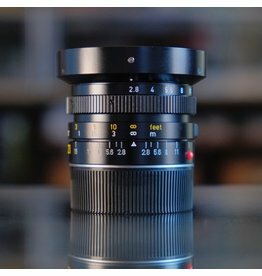 Leica DG Vario-Elmarit 12-60mm f2.8-4 ASPH. 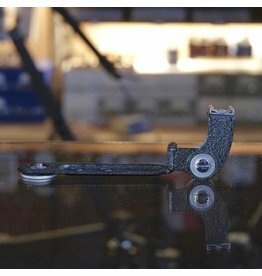 Leica CTOOM flash bracket. 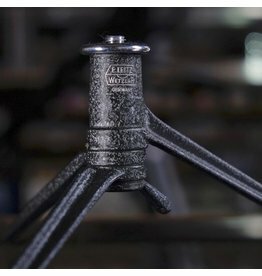 This is a well made metal bracket with a crinkle-paint finish that provides a swiveling cold shoe, and also two more centre-mounted tripod threads (which is nice in iteself.) in excellent condition. Leitz E60 UVa filter (13381) in excellent condition, with clean glass. 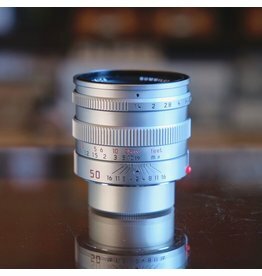 For all E60-thread lenses. 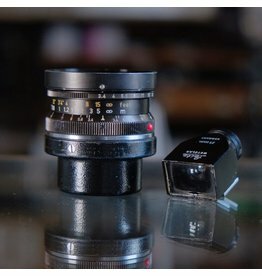 Leitz 5cm f2 Summicron (Type 1) in excellent cosmetic condition, with only very minor cosmetic barrel marks. Minor internal edge hazing near the rear of the front element group; no fungus. A classic Summicron in pretty nice shape. 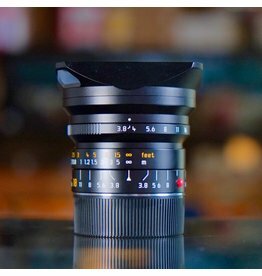 Leitz Elmarit-M 21mm f2.8 lens for Leica M mount. In near-new condition, with clean glass, smooth fosuing, good diaphragm. A lovely ultrawide in great shape, with original box. Made in Canada. 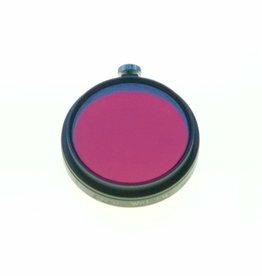 Leitz FEDOO dark red filter for A36 slip-on mount. 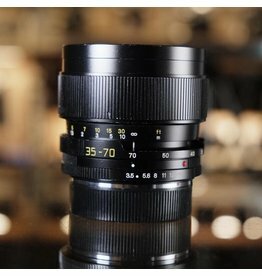 Fits early thread-mount Elmar, Summar & other lenses. Black-rim version. Leitz A36 FEDOO (Rh, dark red) filter. 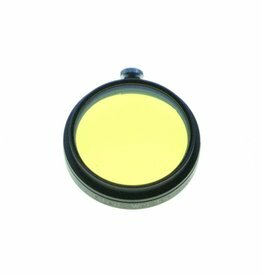 Leitz FIGRO light yellow filter (no.1) for A36 slip-on mount. 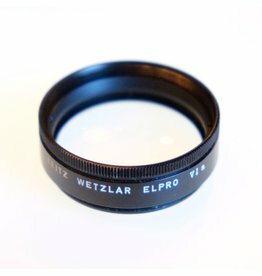 Fits early thread-mount Elmar, Summar & other lenses. Black-rim version. Leitz A36 FIGRO (1, yellow no.1) filter. 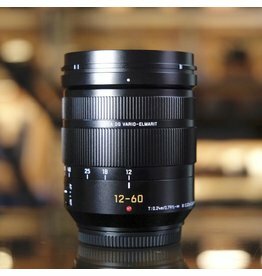 Leica 18mm f3.8 ASPH Super-Elmar-M lens for Leica M mount. An exceptional, compact ultrawide lens with minimal distortion. Clean glass and excelent cosmetics, in near-new condition. Includes lens hood and slip-on cap. This lens is 6-bit coded. 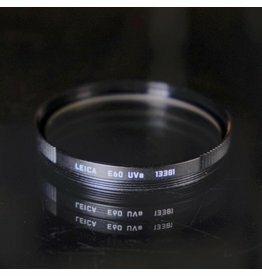 Leica 18mm f3.8 ASPH Super-Elmar-M.
Leitz ORAKO rangefinder contrast filter for Leica II, III and IIIa cameras. 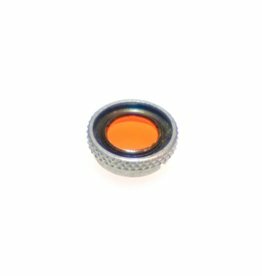 This small orange flilter attaches to the rangefinder window and increases contrast for easier focusing. Tiny, but helpful. Leitz ORAKO rangefinder contrast filter. 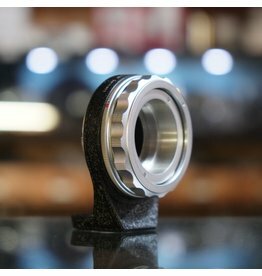 The Leitz Elpro VIa is a close-up lens for Series 6 thread mount. In excellent condition, with leather case. This is an original Leitz film trimming template for the Leitz DEFOO and TAHOO developing tanks. This is not the film cutter for cameras! It’s for the DEFOO/TAHOO tanks! In excellent condition, with some surface patina. Leitz film trimming template for TAHOO/DEFOO developing tank. 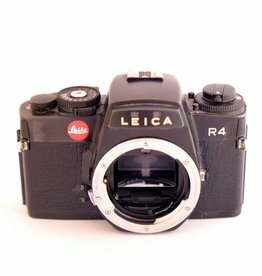 Leica R4 35mm SLR camera for Leica R-series lenses (not included). Non-functional. Manufactured from approximately 1980-1987. 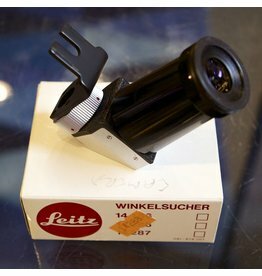 Leitz 16556 Bellows II for Visoflex II and III reflex system. 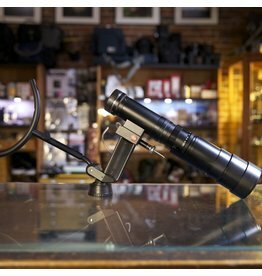 Bayonet mount on camera side; supplied with 16590 adapter to mount LTM lenses. Bellows is in excellent condition, included box is fair. 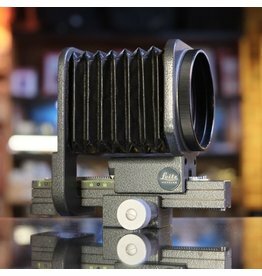 Leitz 16556 Bellows II for Visoflex II and III. With box. Leitz 15612 (DGKOO) flash cable. In original bag with stock card. 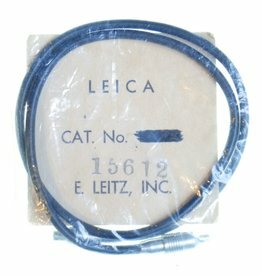 Leitz 15612 (DGKOO) flash cable. 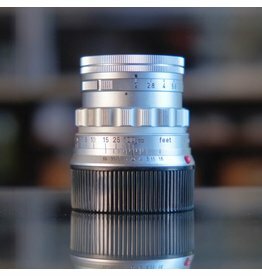 Leitz 14160 Series VI Retaining Ring in excellent condition, with very minor paint wear at front rim. 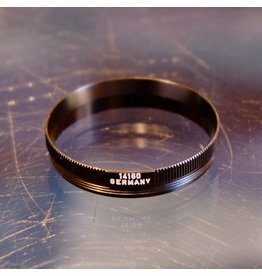 Leitz 14160 Series VI Retaining Ring. Leica 14288 Winkelsucher right-angle viewfinder for R3 camera. In excellent condition, with original box. Leica 14288 Winkelsucher for R3 camera. 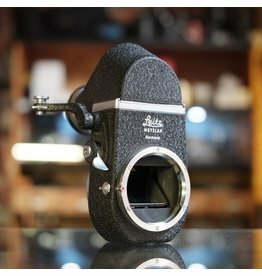 Leitz Visoflex II reflex housing for most Leica M cameras. Leitz Telyt-R 400mm f6.8 lens with handle, stock, all caps, hex key tool and original leather case. 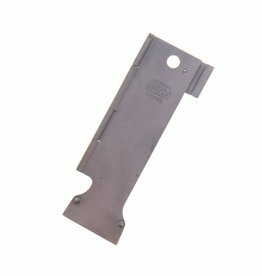 Mechanically and functionally excellent, with clean optics. A nice example of this lens. Leitz 400mm f6.8 Telyt-R w/ case, stock, hex key. Leitz OTZFO adapter (early) for Visoflex.